@The_Gamer_Geek and I completed a Pinterest project, that I have been DYING to do since I began watching Doctor Who...gingerbread TARDIS'! We used an entire container of white frosting as our glue. 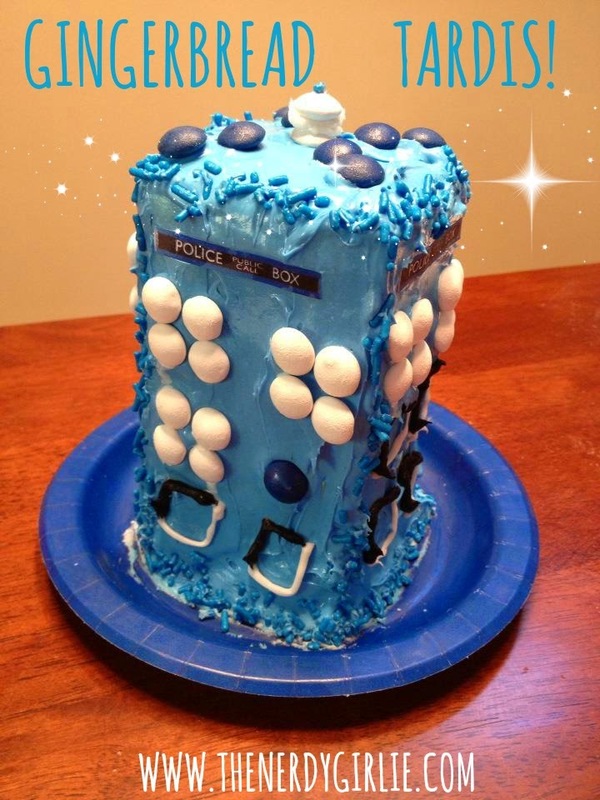 One container of blue frosting for the TARDIS color. Blue sprinkles and York Pieces for decoration. We pipped the white frosting all over the cracks and used an empty creamer carton for stability on the inside. I even let my OCD take a back seat and didn't clean up until we were totally finished! I am so proud of my creation! Share your creations in the comments below and don't forget to check out ALL our other Nerd Crafts! !